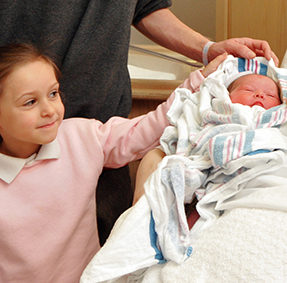 The Dr. Frederick S. Eadie Birthing Center has a proud tradition of providing personalized, safe and compassionate maternity care. We hope to exceed all of your expectations, and we will do our best to make this a joyful experience for the whole family. Specialty physicians on the medical staff of both Backus and the nationally recognized Women & Infants Hospital. Programs and classes to offer support for expectant families as they prepare for parenthood.